Scientific Games has formed a new partnership with Google subsidiary Apigee. 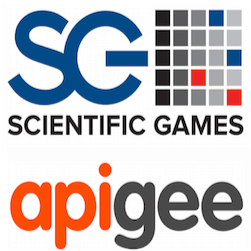 The partnership will see Scientific Games adopt Apigee’s application programming interface management platform to be used in their online gaming services. With Google recently starting trials of offering real money gaming options from its Play store, this deal could open the door for future partnerships between Google and Scientific Games. With a series of acquisitions and strategic partnerships, Scientific Games has quietly been growing into a gaming powerhouse. The range of value added services, development tools and talented staff they have acquired recently all seem to be building to something great for the company. Getting into a partnership with this Google subsidiary hints at major developments in the future. The main goal of this partnership for now is for Scientific Games to deploy Apigee’s API management software on its casino and slot management systems that while robust, cannot compete with the sleek and streamlined design of Apigee’s software systems. They became Google affiliates through their innovative and clever software designs and Scientific Games have made an excellent decision to partner with them. At the end of the day, Scientific Games will also use the software to make integration with third party applications much easier. This will surely help the company integrated more smoothly with their recent partners and affiliates. This software acquisition is essential for the future of Scientific Games as without it they would certainly struggle with scaling up their current API’s to meet the needs of their clients. Catharine Burns from Scientific Games stated that the company is committed to always offering their stakeholders the best tech solutions, which can meet all their needs. Furthermore the Apigee deal will secure the future of Scientific Games as it makes partnerships with third party providers much simpler and smoother. 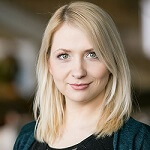 She believes meeting these specific needs of customers and stakeholders while also ensuring even more improved security is a key function of this new deal. If Scientific Games keeps making fundamentally useful deals like these, they will remain a force to be reckoned with for years to come. Scientific Games recently grabbed headlines when they won Land Based Casino Provider of the Year at the Global Gaming Awards. Scientific Game has managed to straddle the land based and online casino market like few other companies. They already have a very stable and strong distribution network that gives them a strategic advantage when it comes to new development deals. With Apigee by their side, this trend of growth and expansion looks set to continue.